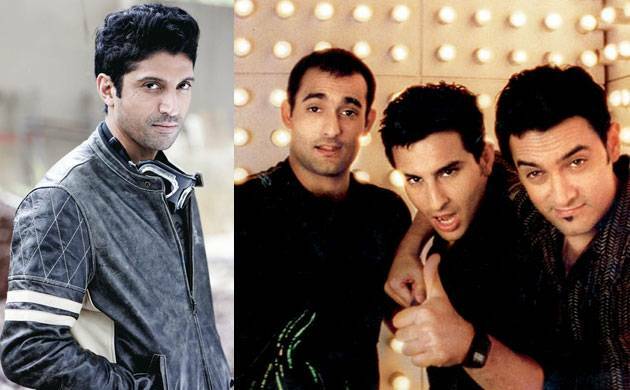 Farhan Akhtar has rubbished the reports of him planning to make a sequel to his 2001 release Dil Chahta Hai and said that he is in no mood to carry movie forward. Interestingly, Dil Chahta Hai also marked Farhan's directorial debut and even won a National Award for Best Feature Film in Hindi. Apparently, there were reports about the much-touted sequel of the movie being planned. However, Farhan has cleared the air about any such developments. "I have not really considered taking the film forward. I feel there was a certain energy, mood and a time in my life when 'Dil Chahta Hai' happened and that's why I wrote it," Farhan told PTI when asked if he ever thought of making a sequel. "Now if I think of (a sequel), I will be forcing the issue. It is going to go from 'what I wanted to say' to now 'something more should be added'. What was great about it when it happened was there was no design." Farhan- who has directed three feature films since "Dil Chahta Hai"- says to take the film forward, he would have to come up with a template, which would go with the organic feel of the movie. The actor says "Dil Chahta Hai" is a character driven film, unlike his other directorial ventures - "Don" and "Don 2". "The minute we start thinking seriously that I have to do a sequel to it, then design comes into play. That is something I want to avoid. If ever suddenly the moment of eureka happens then may be, who knows. But nothing as of now," he said. The 43-year-old actor-filmmaker, however, says "Don" can be taken ahead with a third part. "The story of 'Don' allows you to take the film forward. It is plot-driven. But a film like 'Dil Chahta Hai' is so much about the feel, the characters, the vibe of how people are." When asked, if he has plans for the third installment of "Don", Farhan says, "I am not ready with 'Don 3'. That's too far off." Currently, Farhan Akhtar is busy promoting his upcoming movie Lucknow Central. Helmed by Ranjit Tiwari, the movie also stars Deepak Dobriyal, Gippy Grewal, Ronit Roy and Diana Penty in key roles. Lucknow Central is slated to release on September 15.